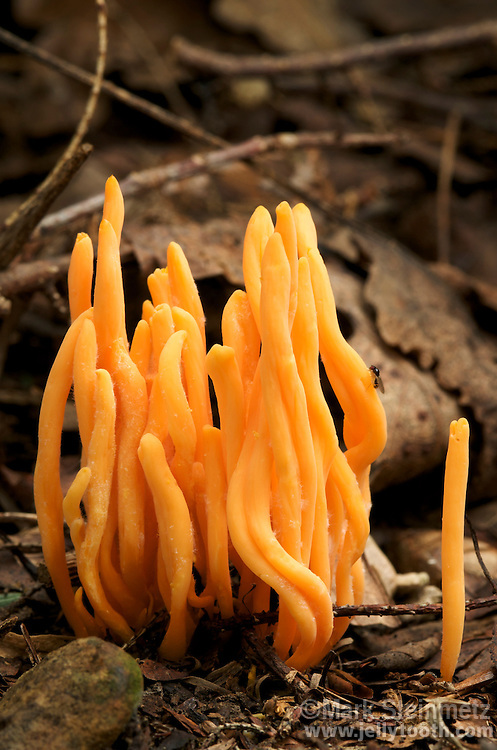 Orange Spindle Coral mushrooms (Clavulinopsis aurantio-cinnabarina). Growing from ground in hemlock forest, Hocking State Forest, Ohio, USA. Synonym is Clavaria aurantio-cinnabarina.